How do I integrate my 3dcart Store with Dwolla? Merchants can now set up Online Payments with Dwolla. This article will show you how to integrate your store with Dwolla. 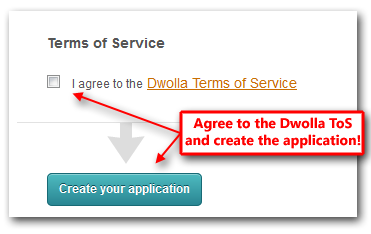 If you have used Dwolla on your 3dcart store prior to May 12th, 2014, there is one additional change you will need to make to your settings at Dwolla in order to have the incoming orders update correctly. Please click here for information on this. Click on your Dwolla profile picture. A small drop down will then show you your Dwolla account number. Write this account number down as this is the ID you will need for the integration. Click "Developers, edit the settings for your registered applications here." You will be taken to a page with a list of fields to populate. These are various permissions needed in order to use Dwolla via API. Most of the fields are optional and may be left blank since 3dcart's integration already has these settings preconfigured for you. However the first field "Application Name" is required. We suggest just using your store's name for easy reference. After configuring the Application settings, Accept the terms, enter your pin and click "Create Application"
On the subsequent page you will see the Application Secret and Application Key which will be added to your 3dcart store's payment module. 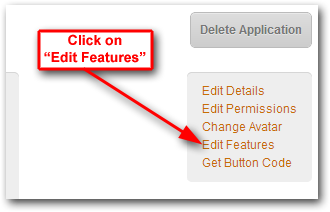 Now, click on the "Edit Features" link located to the right of this area. Then enter the following as your "TransactionStatus URL"
Note: Make sure to use your store's SECURE URL in place of the "[your-domain.name]" section. Finally, click on the "Update Features" button at the bottom of the page. 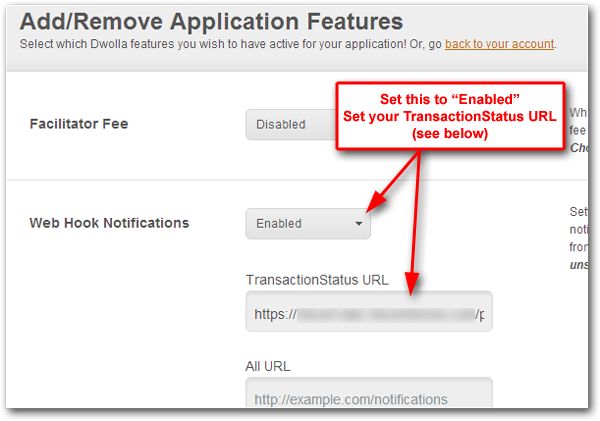 Select Dwolla from the Payment Method drop down menu. Now enter your Key, ID and Secret Key credentials (from the previous steps) as needed. Your store is now integrated with Dwolla Payments. 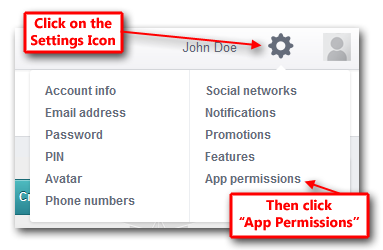 Once on the App Permissions page, click on the link shown in the image below. Look to the right and click on "Edit Features"
Make sure to use your store's SECURE URL in place of the "[your-domain.name]" section. Your account is now updated to use the new Webhook functionality.